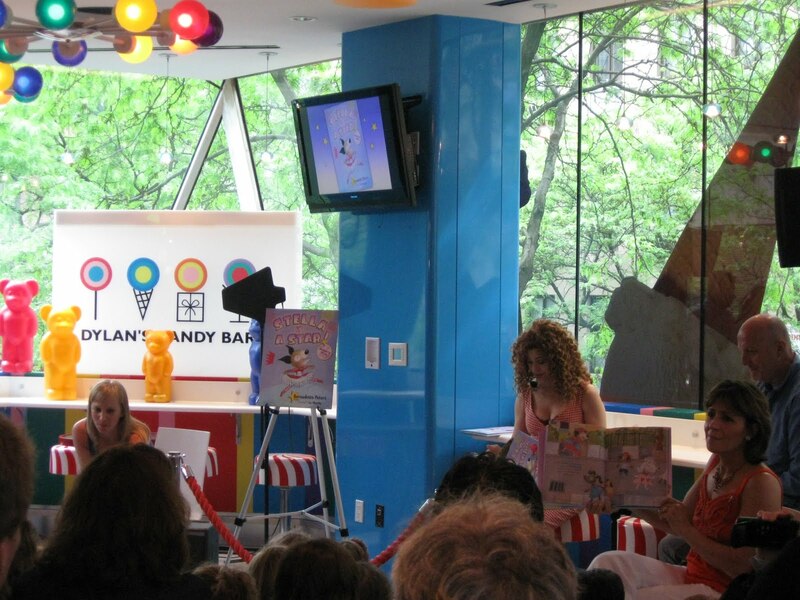 This afternoon, I joined about 150 children of all ages to hear Bernadette Peters read her new book, Stella is a Star at Dylan's Candy Bar on the Upper East Side. Bernadette was introduced by Lauren Dylan herself. Bernadette briefly spoke about the book, the idea for which came to her on an air plane, and introduced the illustrator Liz Murphy, before doing some signings will waiting for a school group of first graders to arrive by subway - as she said, "They are like their own reality show." When the children arrived, they excitedly sat at Bernadette's feet while she read Stella is a Star aloud and then performed the lovely song she also wrote - A Song for Stella - accompanied by a trumpeteer. She then took questions from the children. My favorite question from one of the six year olds was, "Do you have a collaborator?" Another was whether cats would like the book. Bernadette thought it is a good book for cats too and she may write another book about her cat Murphy who has gone on to Heaven. When asked by one of the children why Murphy has gone to Heaven, she gave one of her famous looks and then answered, "You'll have to ask your parents." Priceless. Stella is a Star is based on Bernadette's adopted Pit Bull. Stella disguises her true identity - pit bull - because she is afraid that people will not accept her. She triumphs in her dance recital and learns that you must be who you are. It's a lovely, sweet story perfect for small children and especially young girls, as in the book Stella is a ballerina. Fans of Kramer, the star of Bernadette's first book Broadway Barks , and Bernadette's other adopted dog, will be pleased to know that Kramer makes a cameo appearance in Stella is a Star, but you'll have to read the book to find out which page he appears on, sort in the style of "Where's Waldo." 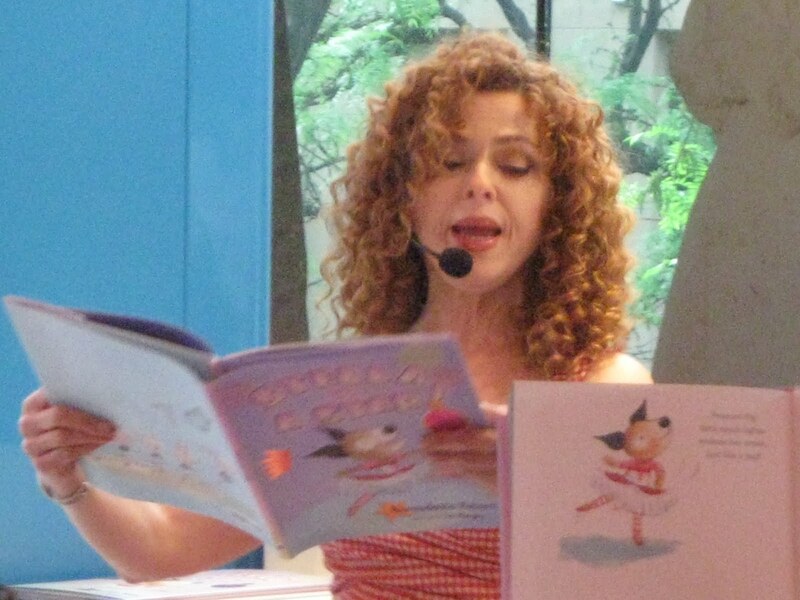 Accompanying both books is a CD featuring Bernadette reading the story as well as performing the lovely song. 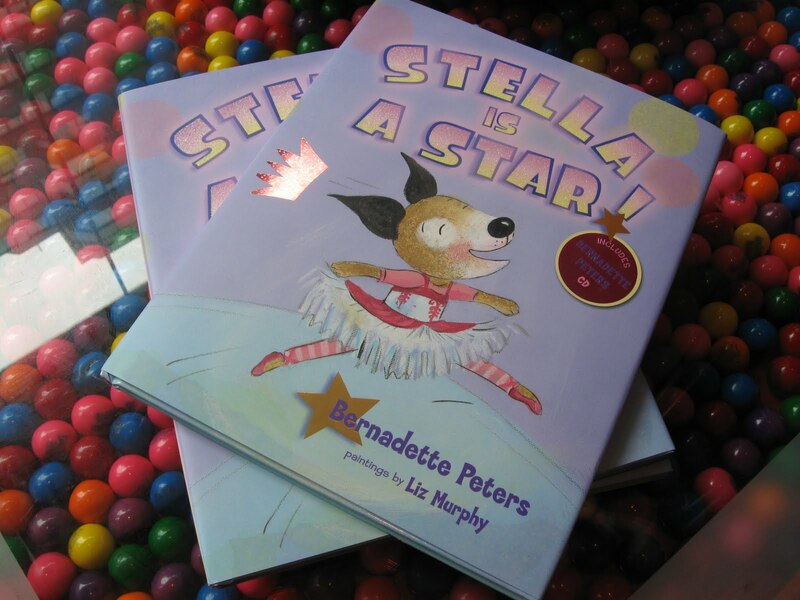 My book loving nieces Camilla and Cara will each get a copy of Stella is a Star to go with their copies of Broadway Barks. That's such a cute little book! I love animals. Her collaborator is Liz Murphy, the illustrator. I have no idea about the dress. Thanks for the post! The scene sounds adorable. I love hearing new Bernadette Peters news.